It seems as if everyone is on Spring Break! Everyday it seems as if a new picture from the beach is surfacing through #CliqueShots. It’s great to see the support at the beach and that is why this week’s featured picture is coming from the beach, #CliqueShots Spring Break style! Anyone heading to South Padre Island for Spring Break? If so, look out for Dacav performing live the entire month of March at the 18th Annual Ultimate Beach Bash 2013. 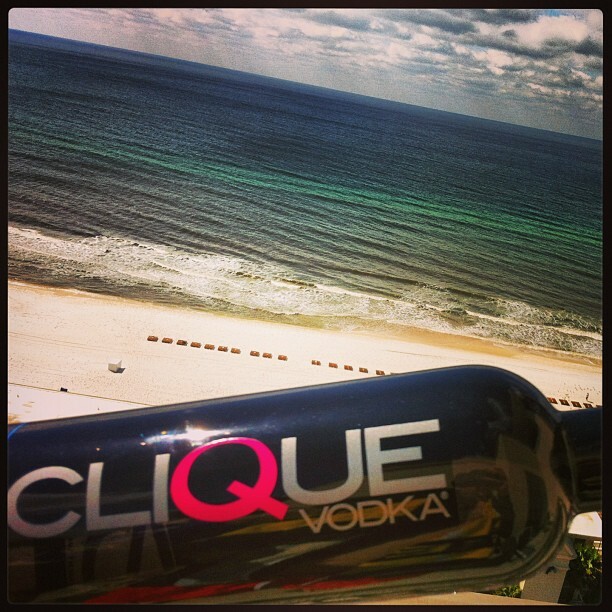 Of course Dacav will have some Clique Vodka with them! Glad you are having fun at the beach @mikeminnock while the rest of us are stuck in cold weather dealing with a freezing month of March! Thanks for all the support and hope you are enjoying yourself, from the looks of the pix, it seems as if you are. Anyone else on Spring Break? If so, send in some pictures!